How about this helmet? Is this what we can expect according to Armando? i find it hard to believe that that's the best they could come up with. That logo leaves alot to be desired. It's not terrible, but it's not great either. Belongs on the bathroom wall of Sea World. I like the screws that hold the helmet together. They look sturdy. I wonder why the chin strap is not in the picture is there something brewing there? I think they should go with orange. 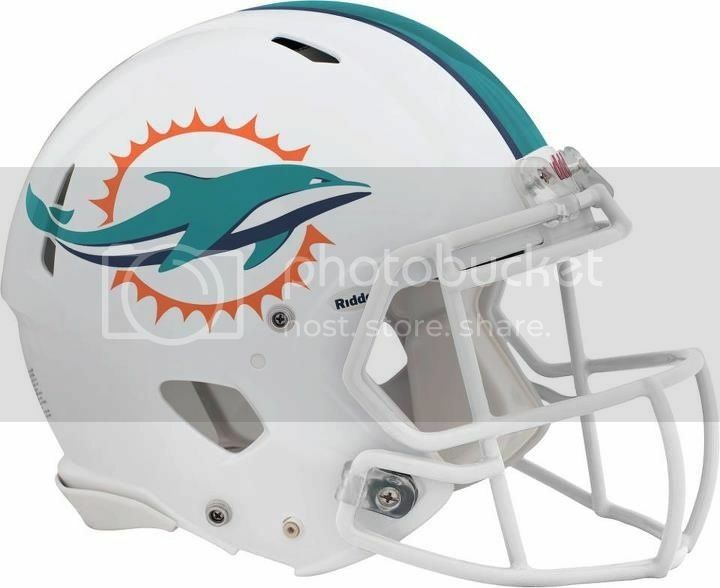 here is Jared Odrick sporting the new logo. He has slimmed down. You know, I don't mind the new logo ... if this is it. I definitely don't hate it, and I have always been a traditionalist. Mike Dee has confrmed that the leaked logo is legit. Rarely do I like what Miami has done over that last 15 Yrs. This is just another in a long list of poorly thought out decision. I like that they're re-branding the franchise. Our team had become stale and outdated. It was time for some change. We added a new staff and quarterback last year. Now we're overhauling the stadium and changing the logo/uniform this year. I like it. That is definitely NOT the new uniforms. The emblem on the helmet is not the same. It is one of the earlier versions with blue fins. I don't think they would go that crazy on the jerseys. I don't mind it. I'm pretty ambivalent about though. Have no issue with changing, just make it tasteful. 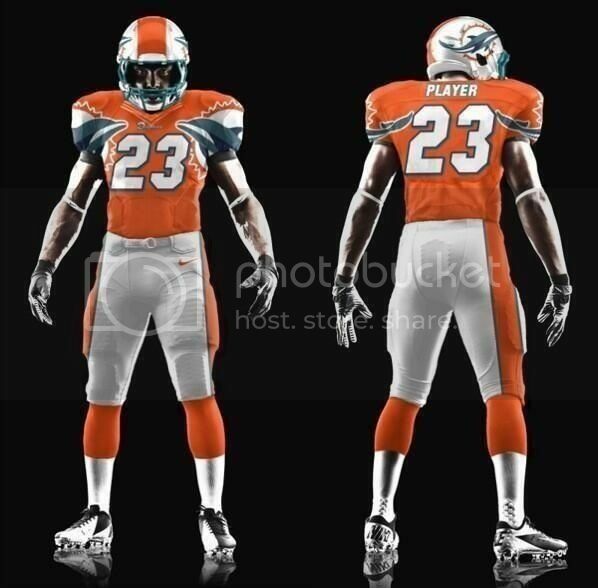 If this is their new look, then Miami will have out done some of the worst uniforms in NFL history. Its embarrassing to think someone looked at this logo & said. That's it. Those things are gaudy. Its embarrassing to think someone looked at this logo & said. That's it. Those things are gaudy. I often say that about cars ..... it boggles my mind, it really does that this was the best idea they could come up with. Looks almost as bad as the gay pirate in the Bucs' old logo. Not coincidentally, the team under that logo was owned by another idiot in Culverhouse. What is it with idiotic owners and crappy logos?! idk i don't mind it. the only real problem i have with it is that the tail isn't flipped down like the old ones. if it was that dolphin and the sun like they are but the dolphin's tail was flipped down i'd like it a lot more. i don't think it's bad, though. hopefully the uniforms look good. I can get used to the new logo. I like the old logo as well, but to be honest that logo from 1997-2012 was associated with some of the worst teams in thier history. Marino ended his career wearing that logo, 1-15 with that logo, 5 straight years without playoff appearance. It was time to disconnect with that logo. Once they start winning on a consistent basis, this logo will be associated with "WINNING"!! the great franchises don't rebrand. Steelers, Packers, Bears, Colts, Yankees, Red Sox, Cubs. There's something to be said for tradition. there were at least 12 better logos in that fan contest. Some were very impressive. I still can't believe this was the logo all along. Way to go Ross! Was this your grandson's submission? That sun is terrible! I'd rather not have it in the logo now. 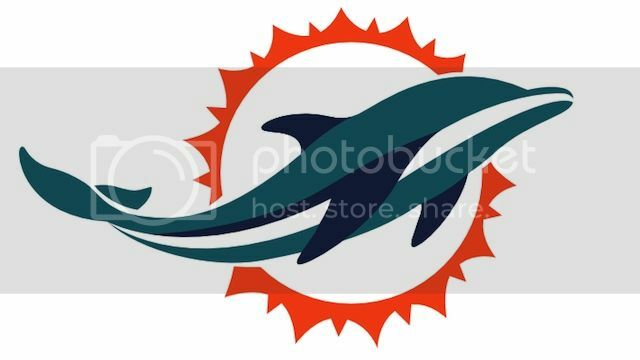 Why not get rid of the bursts and just have a circle sun behind the dolphin with a gradient color like a real sun, yellows and oranges, Would have much more POP! Last edited by swerve13 on Thu Mar 28, 2013 4:29 am, edited 3 times in total. i would have been much happier leaving the logo alone and just changeup the uniforms. The Patriots, Broncos, Colts, Bears, Packers, Giants and 49ers have all re-branded at some point. Nope, definitely NOT the new logo. The sun is different, and the dolphins has blue fins like the earlier version. This is something a fan created. If the Dolphins put it out, you probably would recongnize the player, like they did with Odrick. Some thing else I have noticed, look at the SHADE of aqua in this leaked pick. It looks much lighter. More like the old uniforms, like this one. Not dark, like the most recent ones. Look how much lighter the uniforms were even in 1985 against the bears. I like the lighter aqua. 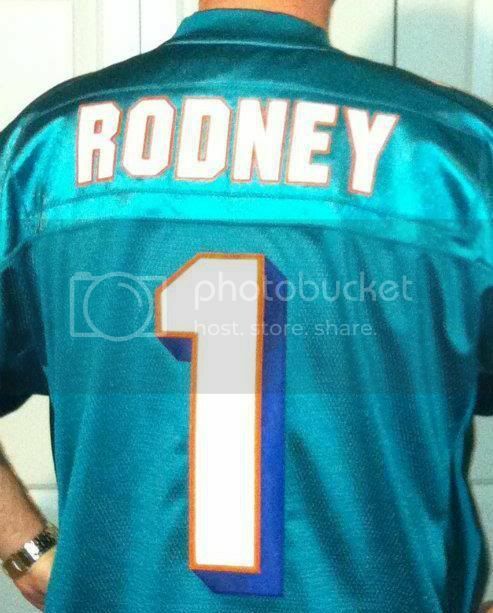 Rodney.... Mike Dee said that they went back to the traditional teal and orange colors. On another note... 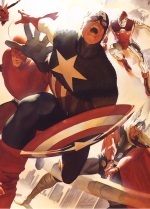 I wish those uniforms were the new ones! Those are sick! IF that is the new uniform look, I personally like it. I like what Seattle did with their uniforms too, it is a refreshing change in my opinion and my other wish was that they could bring the field in closer for the start of this season, but I guess that may be a part of the bigger renovation plan. Philbin's second year, new players, new logo/uniforms, new look to the stadium coming.....I love it and ready to see a fresh start to a path to the playoffs again. Although I am always trying to be optimistic about Miami's chances coming into each new season, this year I truly feel they will have a winning record and make a push for the playoffs. You can just sense we are finally headed into a new direction. The logo is different than the one they have confirmed. 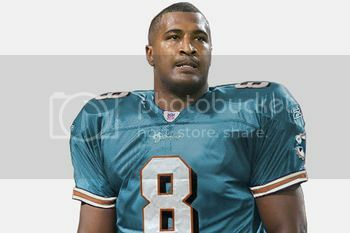 I do not believe this is an accurate representation of what the Dolphins uniforms will look like. Not saying it is, but I am looking side by side and I don't see the difference in the logo. This is the logo used on the uniforms above. Notice the blue on the fins, different sun, and no eye. 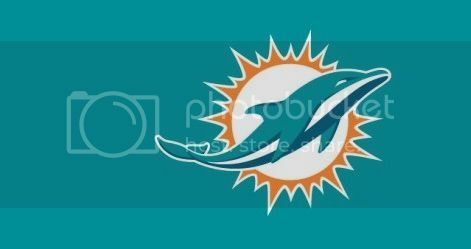 This is the logo that is on miamidolphins.com right now. Gotcha, very minute differences though. 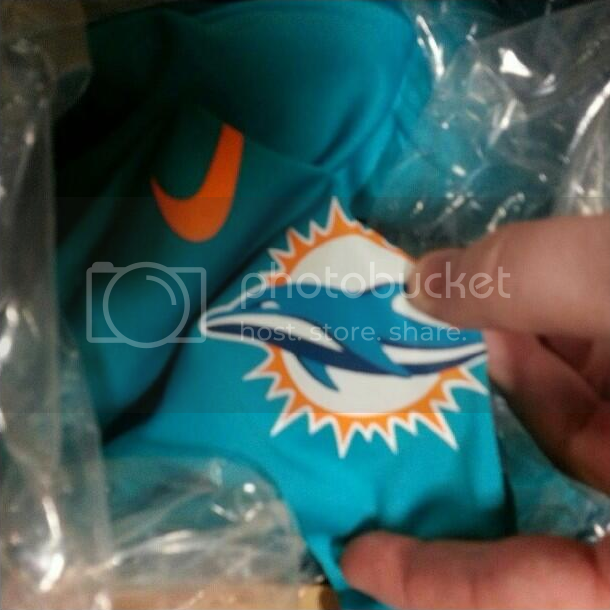 Mike Dee was on the Finsiders last night and said the uniform change would be significant. We'll see what they do. I like the one from WQAM though. 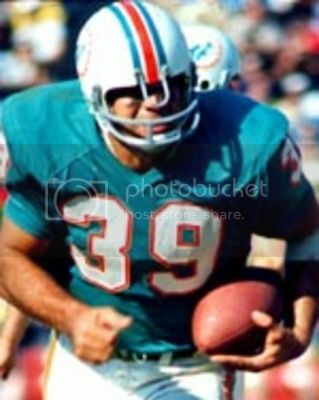 Rich, you saw a uniform look on WQAM??? If so, can you cut and paste that so I can see or is that already in this thread somewhere?